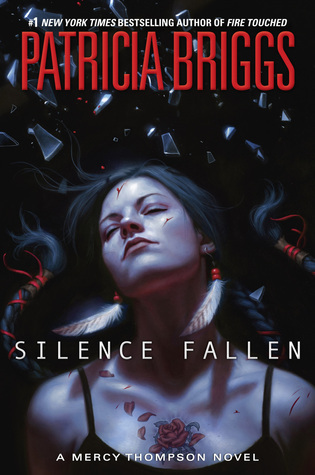 Silence Fallen by Patricia Briggs is the latest novel in her Mercy Thompson series. 1. I submit this book as proof that I do read books other than YA books. In fact, I adore Briggs' Mercy Thompson series, and this book is no different. I was doubly excited that Mercy was in Prague. It is on the top of my want to visit list, and this book only help to fuel that desire. Plus, interesting introduction to the European Vampires and Werewolves. 2. I love the character of Mercy. She has so much sass and is smart. She often finds herself in impossible situations where her opponents underestimate. She uses her cunning and wit to make them look like fools mostly. Plus, I like that she feels real, with real fears and love. 3. I find Mercy and Adam's relationship fantastic. They are equals in their relationship. Both are always worried for the others safety, and they find strength in each other. And they have amazing banter with each other, good banter between couples always elevates them in my eyes. 4. Along with being in amazing Prague. Briggs' works in one of Prague's older legends of The Golem in the Jewish Quarter. And most importantly, she throws in a great Doctor Who reference.